Small Business Saturday, sponsored by American Express, is a day dedicated to helping small businesses and their communities. Use your personal American Express card on November 24th and get $25 back when you spend $25 or more at a qualifying small business – like us. To get a one time $25 statement credit, your card must be enrolled online. 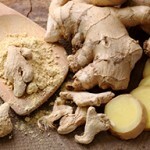 Aromatic, pungent and spicy, ginger adds a special flavor and zest to any dish. We will be exploring the world of ginger, fresh and dried, with a plethora of dishes from around the world from old favorites to new creations, savory and sweet. Come join us for afternoon of spice and experience the world of ginger. $20, $10 for wine club members. You are currently browsing the Bedford Winery blog archives for November, 2012.